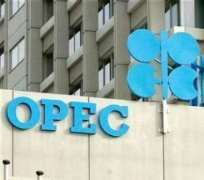 The Secretary-General of the Organisation of Petroleum Exporting Countries (OPEC), Dr Mohammad Barkindo has arrived in Nigeria on Sunday to begin a four-day working visit. Barkindo, who is also in the country for the 16th Nigeria Oil and Gas Conference and Exhibition (NOG), will be meeting with Acting President Yemi Osinbajo, Minister of State Petroleum Resources Dr Ibe Kachikwu, among other stakeholders, to discuss market dynamics in the sector. In an interview with the News agency of Nigeria (NAN) on Sunday in Abuja, the NNPC Group General Manager, Group Public Affairs Division, Mr Ndu Ughamadu, said the fallout of Barkindo's visit will be felt in the sector for a long time. 'I believe whatever policies put in place here will be strictly adhered to and give our economy the needed boost. I'm excited. It's a big event,' Ughamadu said. At an earlier news briefing, Ughamadu said Kachikwu would give a keynote address on 'Repositioning the Oil and Gas Sector' while the NNPC's Group Managing Director, Dr Maikanti Baru, would speak on 'Commercialising the NNPC'. The conference, which is organised by the CWC Consulting, begins on Feb. 27 and ends on March 2. More than 6,000 delegates, 250 exhibitors, from over 20 countries, many oil and gas experts and hundreds of government representatives from different countries are expected at the conference.